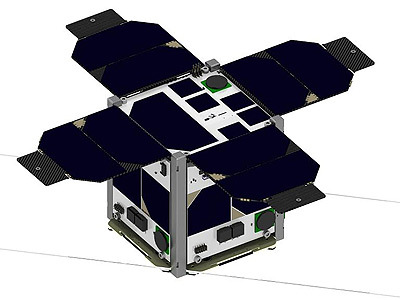 MOVE II, (Munich Orbital Verification Experiment 2) is a 1U CubeSat built by students at the Technical University of München. The MOVE II mission is funded by the German Aerospace Center (DLR) as an educational project, and the goal is to develop a satellite capable of supporting a scientific payload with challenging requirements. MOVE 2 will not carry an actual scientific payload, but instead, the goal of the mission is to test and verify the satellite bus, meaning all parts of the satellite required to run the payload. On MOVE II, this includes communications, on-board data handling, the attitude control system, the power supply system, the structure and the thermal control system. A second unit, MOVE 2b is planned for a launch in March 2019 from Vostochny.